I often wonder about the idea of a miracle. Is it something you feel? Can you see it? Or is it some- thing you just know? Miracle is a very big word, perhaps best saved for big events like the birth of a baby or the first man walking on the moon. As I ponder this thought, I’m surrounded by lovely, fresh-cut flowers. Isn’t the blossoming of these flowers a miracle? A tiny little seed in the ground, nurtured with rich soil, water, and light, grows to reveal its unique beauty. When we look at the seed, we can’t see the miracle. It’s only later, after its potential has been manifested, we realize what that seed carried all along. Isn’t that how we all are? On the journey of our destiny in this life, all of us start as seeds. Some of us are still in the ground, waiting to grow. Some of us have sprouted a few leaves, and some of us have fully blossomed. Is the miracle the blossoming of the flower, or is the miracle knowing with certainty that everything is already in the seed? Yes, for me it always comes down to certainty. When all I can see is a seed in the ground, the miracle is certainty in my knowl- edge of what the seed is destined to become. These were the thoughts I recorded in my journal on the morning of our wedding. I have heard that most brides wake up jittery and full of excitement, perhaps thinking about their hair and make-up, the excitement of the day ahead, and how the weather will hold up. I woke up and started writing. We were all ready. The driver took my hand and escorted me to my seat in the limo. Jacqueline von Zwehl, is a faith based relationship expert. She holds a BFA from New York University and a MBA from Pennsylvania State University. Jacqueline travels the country as a motivational speaker encouraging singles on the path to finding their soul mates. She has appeared on Nite Line, The Harvest Show, EWTN, TCT TV, Victory TV, CatholicTV, Telecare, Changing Lives, CatholicLife, That's the Spirit, The Church, The Cardinal and You, NPR, and more. Jacqueline lives in Fort Lauderdale, FL with her husband Christopher, their two daughters and dog. 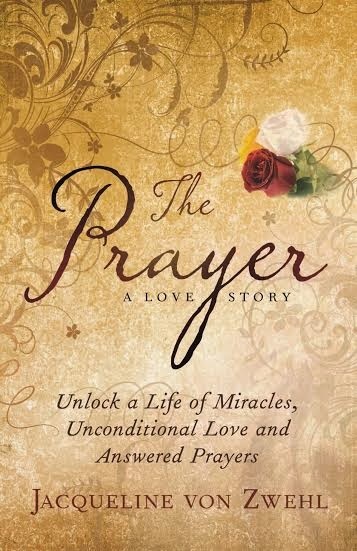 The Prayer, A Love Story is her debut book. 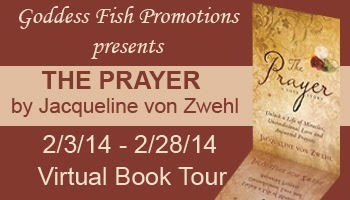 Jacqueline von Zwehl, is a faith based relationship expert. She holds a BFA from New York University and a MBA from Pennsylvania State University. Jacqueline travels the country as a motivational speaker encouraging singles on the path to finding their soul mates. She has appeared on Nite Line, The Harvest Show, EWTN, TCT TV, Victory TV, CatholicTV, Telecare, Changing Lives, CatholicLife, That's the Spirit, The Church, The Cardinal and You, NPR, and more. 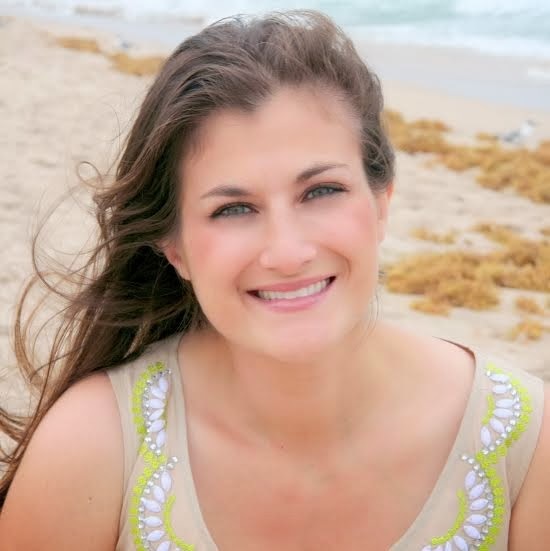 Jacqueline lives in Fort Lauderdale, FL with her husband Christopher, their two daughters and dog. 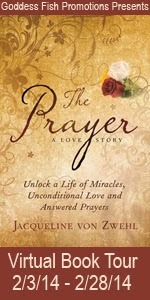 The Prayer, A Love Story is her debut book. The cover is pretty & it's always a good thing to encourage others to pray. This promises to be a truly beautiful read. Thank you for sharing your story with us. What a wonderful read this will be.